Joan Boice needed help. Lots of it. Her physician had tallied the damage: Alzheimer’s disease, high blood pressure, osteoporosis. For Joan, an 81-year-old former schoolteacher, simply getting from her couch to the bathroom required the aid of a walker or wheelchair. Joan Boice needed help. Lots of it. Her physician had tallied the damage: Alzheimer’s disease, high blood pressure, osteoporosis, pain from a compression fracture of the spine. For Joan, an 81-year-old former schoolteacher, simply getting from her couch to the bathroom required the aid of a walker or wheelchair. The Alzheimer’s, of course, was the worst. The disease had gradually left Joan unable to dress, eat or bathe without assistance. It had destroyed much of the complex cerebral circuitry necessary for forming words. It was stealing her voice. Joan’s family was forced to do the kind of hard reckoning that so many American families must do these days. It was clear that Joan could no longer live at home. Her husband, Myron, simply didn’t have the stamina to provide the constant care and supervision she needed. And moving in with any of their three children wasn’t an option. These were the circumstances that eventually led the Boice family to Emeritus at Emerald Hills, a sprawling, three-story assisted living facility off Highway 49 in Auburn, Calif. The handsome 110-bed complex was painted in shades of deep green and cream, reflecting its location on the western fringe of the craggy, coniferous Sierra Nevada mountain range. It was owned by the Emeritus Corp., a Seattle-based chain that was on its way to becoming the nation’s largest assisted living company, with some 500 facilities stretching across 45 states. Emeritus at Emerald Hills promised state-of-the art care for Joan’s advancing dementia. Specially trained members of the staff would create an individual plan for Joan based on her life history. They would monitor her health, engage her in an array of physically and mentally stimulating activities, and pass out her 11 prescription medications, which included morphine (for pain) and the anti-psychotic drug Seroquel (given in hopes of curbing some of the symptoms of her Alzheimer’s). She would live in the “memory care” unit, a space designed specifically to keep people with Alzheimer’s and other forms of dementia safe. At Emerald Hills, the setting was more like an apartment complex than a traditional nursing home. It didn’t feel cold or clinical or sterile. Myron could move in as well, renting his own apartment on the other side of the building; after more than 50 years of marriage, the couple could remain together. Sure, the place was expensive — the couple would be paying $7,125 per month — but it seemed ideal. Just months earlier, Emeritus supervisors had audited the facility’s process for handling medications. It had been found wanting in almost every important regard. And, in truth, those “specially trained” staffers hadn’t actually been trained to care for people with Alzheimer’s and other forms of dementia, a violation of California law. During some stretches, the facility went months without a full-time nurse on the payroll. The paucity of workers led to neglect, according to a nurse who oversaw the facility before resigning in disgust. Calls for help went unanswered. Residents suffering from incontinence were left soaking in their own urine. One woman, addled by dementia, was allowed to urinate in the same spot in the hallway of the memory care wing over and over and over. The brochure also made no mention of the company’s problems at its other facilities. State inspectors for years had cited Emeritus facilities across California, faulting them for failing to employ enough staff members or adequately train them, as well as for other basic shortcomings. Emeritus officials have described any shortcomings as isolated, and insist that any problems that arise are promptly addressed. They cite the company’s growing popularity as evidence of consumer satisfaction. They say that 90 percent of people who take up residence in assisted living facilities across the country report being pleased with the experience. Certainly, the Boice family, unaware of the true troubles at Emerald Hills, was set to be reassured. And so on Sept. 12, 2008, Joan Boice moved into Room 101 at Emerald Hills. She would be sharing the room with another elderly woman. After a succession of tough years, it was a day of great optimism. Measuring the dimensions of his mother’s new apartment, Eric Boice sought to recreate the feel of her bedroom back home. He arranged the furniture just as it had been. He hung her favorite pictures in the same spots on the wall. On her dresser, he set out her mirror and jewelry box and hairbrush. 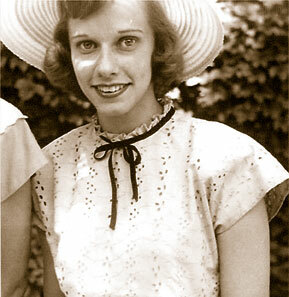 Joan, 5-foot-2 and shrinking, had short snow-and-steel hair and wintry gray-blue eyes. Eric looked into those eyes that day at Emerald Hills. He thinks he might have seen a flicker of fear. Or maybe it was just confusion, his mom still uncertain where, exactly, she was. The Emeritus Corp., the assisted living corporation now entrusted with Joan’s life, sat atop an exploding industry. Two decades earlier, Keren Brown Wilson had opened the nation’s first licensed assisted living facility in Canby, Ore., a small town outside of Portland. Wilson was inspired by tragedy: A massive stroke had paralyzed her mother at the age of 55, forcing her into a nursing home, where she was miserable, spending the bulk of her days confined to a hospital bed. Wilson aimed to create an alternative to nursing homes. She envisioned comfortable, apartment building-style facilities that would allow sick and fragile seniors to maintain as much personal autonomy as possible. These “assisted living” facilities would offer housing, meals and care to people who could no longer live on their own but didn’t need intensive, around-the-clock medical attention. The people living in these places would be called “residents” — not patients. But what began as a reform movement quickly morphed into a lucrative industry. One of the early entrants was Emeritus, which got into the assisted living business in 1993, opening a single facility in Renton, Wash. The company’s leader, Daniel Baty, had his eyes on something much grander: He was, he declared, aiming to create a nationwide chain of assisted living facilities. Two years later, Baty took the corporation public, selling shares of Emeritus on the American Stock Exchange, and piling up the cash necessary to vastly enlarge the company’s footprint. Many of Emeritus’s competitors followed the same path. The company’s rapid growth was, at least in part, a reflection of two significant developments. Americans were living longer, with the number of those in the 65-plus age bracket ballooning further every year. And this growing population of older Americans was willing to spend serious money, often willing to drain their bank accounts completely to preserve some semblance of independence and dignity — in short, something of their former lives. As the assisted living business flourished, the federal government, which oversees nursing homes, left the regulation of the new industry to the states, which were often unprepared for this torrent of expansion and development. Many states didn’t develop comprehensive regulations for assisted living, choosing instead to simply tweak existing laws governing boarding homes. In this suddenly booming, but haphazardly regulated industry, no company expanded more aggressively than Emeritus. By 2006, it was operating more than 200 facilities in 35 states. The corporation’s strategy included buying up smaller chains, many of them distressed and financially troubled, with plans to turn them around. In filings with the Securities and Exchange Commission and in conference calls with investors, Emeritus highlighted many things: occupancy rates; increasing revenue; a constant stream of complex real estate deals and acquisitions; the favorable demographic trends of an aging America. “The target market for our services is generally persons 75 years and older who represent the fastest growing segments of the U.S. population,” Emeritus stated in a 2007 report filed with the SEC. Today, the assisted living industry rivals the scale of the nursing home business, housing nearly three-quarters of a million people in more than 31,000 assisted living facilities, according to the U.S. Department of Health and Human Services. Keren Brown Wilson, the early and earnest pioneer of assisted living, is happy that ailing seniors across the country now have the chance to spend their final years in assisted living facilities, rather than nursing homes. But in her view, the rise of assisted living corporations — with their pursuit of investment capital and their need to please shareholders — swept in “a whole new wave of people” more focused on “deals and mergers and acquisitions” than caring for the elderly. She speaks from experience. After her modest start, Wilson went on to lead a company called Assisted Living Concepts, and took it onto the stock market. Wilson left the company in 2001, and it has encountered a raft of regulatory and financial problems over the last decade. 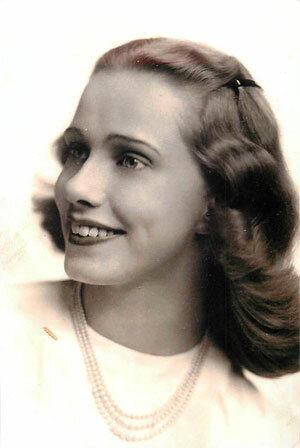 Joan Boice, born Joan Elizabeth Wayne, grew up in Monmouth, Ill. It was a tiny farm belt community, not far from the Iowa border. Her father, a fixture in the local agriculture trade, owned a trio of riverfront grain elevators on the Mississippi and a fleet of barges. As a teenager, she spent her summers trudging through the fields, de-tasseling corn. 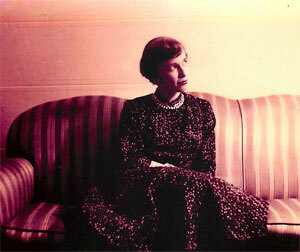 In 1952, accompanied by a friend, Joan packed up a car and followed the highway as far west as it would go. Then in her early 20s, she was propelled by little more than the notion that a different life awaited her in California. 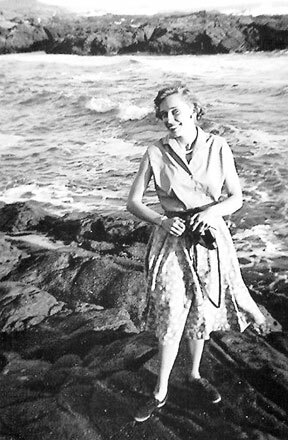 In a black-and-white snapshot taken shortly after she arrived, Joan is smiling, a luxuriant sweep of dark hair framing her pale face, gray waves curling in the background. It was the first time she’d seen the Pacific. Joan had been a teacher for two years in Illinois, and she quickly found a job at an elementary school in Hayward, a suburb of San Francisco. In certain regards, her outlook presaged the progressive social movements that were to remake the country during the next two decades. She viewed education as a “great equalizing force” that could help to remake a society far too stratified by class, race and gender. “She was just free-spirited and confident,” Eric, her son, said. 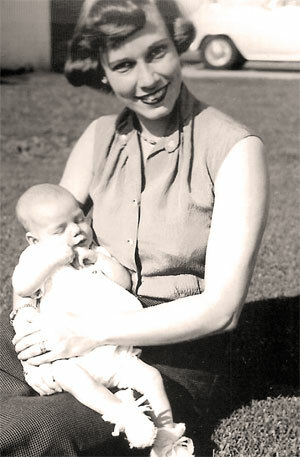 Joan met Myron Boice through a singles group at a Presbyterian church in Berkeley. On their wedding day, Joan flouted convention by showing up in a blue dress. The Boice children came along fairly quickly: Nancee, then Mark, then Eric. Myron Boice was a dreamer. A chronic entrepreneur. He sold tools from a van. He made plans to open restaurants. He had one idea after another. Some worked; others didn’t. Joan’s passion for education never dissipated. Even in her late 60s, she continued to work as a substitute teacher in public schools. After retirement, she began volunteering with a childhood literacy program. But age eventually tightened its grip, and hints of a mental decline began surfacing around 2005. Eric grew worried when she couldn’t figure out how to turn on her computer twice in the span of a few months. Then she forgot to include a key ingredient while baking a batch of Christmas cookies. The cookies were inedible. The elderly couple was still living in the San Francisco suburbs, when, in late 2006, a doctor diagnosed Joan with Alzheimer’s. As her mind deteriorated, Myron struggled to meet her needs. The situation was worsened by the fact that none of the children lived nearby. Mark was in Ohio. Nancee was about an hour away in Santa Cruz. And Eric and his wife, Kathleen, were roughly two hours away in the foothills of the Sierra. “We offered my parents to come and live with us,” Eric recalled. But Myron said no. He and Joan wouldn’t move in with any of the kids. The family patriarch refused to become a burden. A physician encouraged Joan and Myron to consider assisted living. It made sense. And so Myron sold their home in 2007 and the couple moved into a facility called The Palms, near Sacramento. The move put them approximately 40 minutes away from Eric and Kathleen. By 2008, however, Myron wanted a change. He wanted to be closer to his son and daughter-in-law and grandkids. He wanted different meals, a new environment. Myron began hunting for a new place to live, a search that led to Emeritus at Emerald Hills in Auburn. Emeritus opened the Emerald Hills complex in 1998. It was, in many ways, a classic Emeritus facility, situated in a middle-class locale that was neither impoverished nor especially affluent. It was a sizable property, capable of housing more than 100 people. In part because of its appetite for expansion, Emeritus was in the early stages of what proved to be a period of enormous stress. In 2007, the company had made its biggest acquisition to date, buying Summerville Senior Living Inc., a California-based chain with 81 facilities scattered across 13 states. The purchase — which expanded Emeritus’s size by roughly one-third — helped the company make another major leap, bouncing from the low-profile American Stock Exchange into the big leagues of commerce, the New York Stock Exchange. News of the Summerville deal propelled the company’s stock to a new high. Emeritus was poised to become the nation’s No. 1 assisted living chain. But the timing for this bold move turned out to be wretched. The real estate market was freezing up, and it would soon collapse, plunging the nation into an epochal recession. For Emeritus, the economic slowdown and then the housing crash posed direct challenges. Its services didn’t come cheap, so many people needed to sell their homes before they could afford to move into the company’s facilities. With the real estate market calcified, Emeritus’s customer pool shrank. “Our stock price plummeted,” recalled Granger Cobb, Emeritus’s chief executive officer, who joined the company as part of the Summerville deal. The company’s occupancy rates had been trending skywards. Now they went flat. At Emerald Hills, the economic slowdown that summer was making life tough for Melissa Gratiot, the lead sales agent. “It was way harder to move residents in,” she remembered. Gratiot closed the sale. On Aug. 29, 2008, Myron and Eric signed the contract, and the family opened its wallet: A $2,500 initial move-in fee; $2,772 for Joan's first two weeks in Room 101; another $1,660 for Myron. There had been one oversight, though. No one at Emeritus with any medical training had ever even met Joan, much less determined whether Emerald Hills could safely care for her. Correction (7/29): An earlier version of this story stated that Emeritus at Emerald Hills had failed a company audit of its memory care unit before Joan Boice moved in. It has been corrected to say an audit found flaws in the facility’s medication handling process before Boice moved in. The memory care unit was audited while Boice was living there and failed nearly every important test.